● This is a multi-bottle wine rack. ● Iron, strong texture, anti-corrosion and rust-proof, durable. 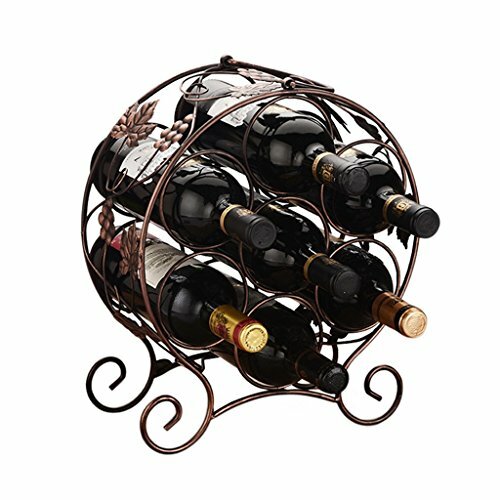 ● 7-bottle wine rack with handles for easy mobile use. ● The solid and secure base is more stable and will not scratch the tabletop or the wine cooler. ● Electroplating process, precision welding, strong and durable, use more at ease. ● Seiko secret agents, all-round polished smooth and delicate, feel comfortable. View More In Wine Cabinets. If you have any questions about this product by He Xiang Firm, contact us by completing and submitting the form below. If you are looking for a specif part number, please include it with your message.